What are the benefits of grapes fruit? Grape is rich in strong antioxidants, which play a special role in preventing your aging. There are plenty of antioxidants in the seeds and grapes of grapes. So do not forget to eat one bunch of grapes once a day. Are you worried about your heart? You can eat a glass of grapes during dinner. You will find that your heart is healthy. The gourd juice plays an important role in preventing constipation. Because it contains organic acids, cellulas and sugar which are helpful in preventing constipation. Grapes are very beneficial for those who suffer from blood circulation. Phytonutrients exist in the grape, which is helpful in regular blood circulation and increase insulin. Ginger juice contains important elements such as antioxidants and antinophamitti, which can remove the inflammation of the limbs. This inflammation is the main cause of cancer disorders. Besides, the grapes prevent the migraine problem. Many people forget small things quickly Again, a word is removed from the memory of memories. This is actually a type of disease. The grapes can play an important role in the treatment of this disease. The grapes are not comparable to the sudden start of headache. In this, there is some comfort in the head. The grapes can be eaten if you are invited to eat and drink discomfort. It also eliminates the problem of digestion as well as elimination of stomach ache. This fruit is effective in keeping eyes good. 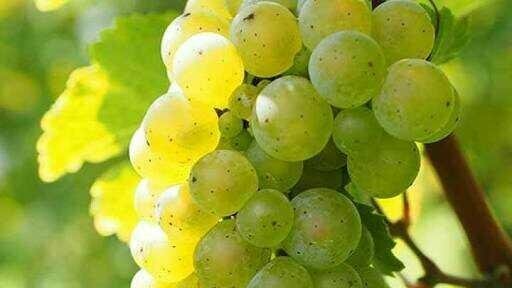 This grapes are good for those who are suffering from eye problems due to age. Women who are at risk of breast cancer may eat grapes. Studies have shown that grapes are capable of working against cancer cells. Germicides of grapes and levels of harmful uric acid are tolerant. They also fight against kidney disease. Fitto Chemical and Fitto Nutrients in Grape work protect the skin. Vitamin C is so abundant that it retains the brightness of the skin. There is a lot of people who are filled with dandrule in a little weirdly. Besides, the hair of the hair is rough, it becomes rough, becomes gray and finally hair is dry. Grapes can be solved by these problems. Be protected from the tendency to be. Helps to be done properly. Congratulations @rahmi! You have received a personal award!